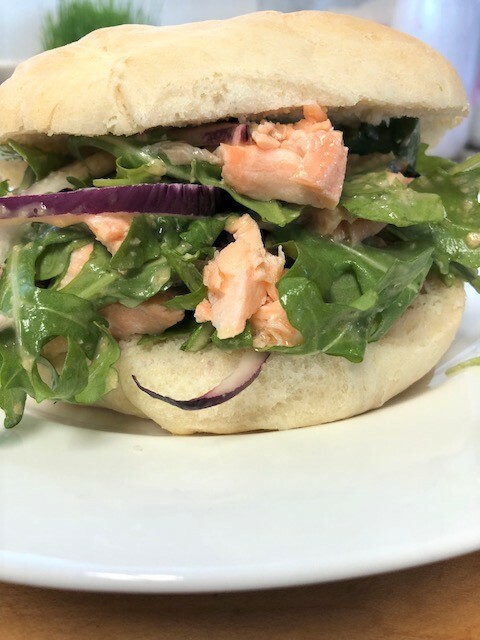 Salmon “salad” Sandwich with Asian Dressing……. Salads, sandwiches…….everyone loves them. I know I do! There is a local restaurant who used to serve my favorite salad. All of a sudden they took it off the menu. I was so upset! I mean, how rude!! Ha. It was simple…..spinach, greens, chunks of tuna and sprinkled with a few pumpkin seeds. It was all tossed in a spicy Asian dressing. It was so light and absolutely delicious. Now I just make my own. But this time I used salmon and put it all in a sandwich, with homemade rolls. It’s one of my favorite sandwiches. 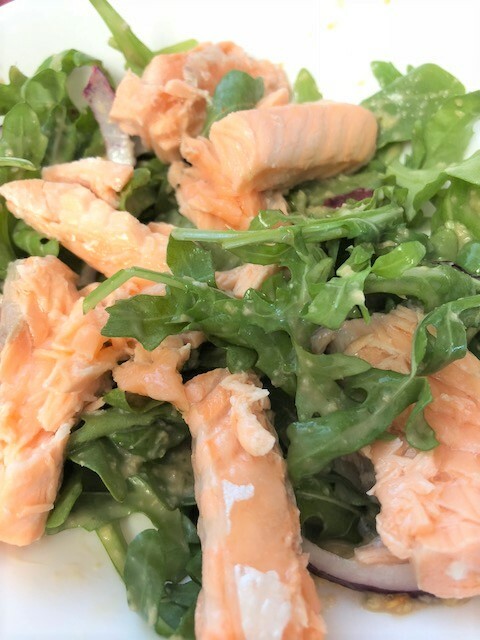 Whether you use salmon or tuna, you can’t go wrong with this one. 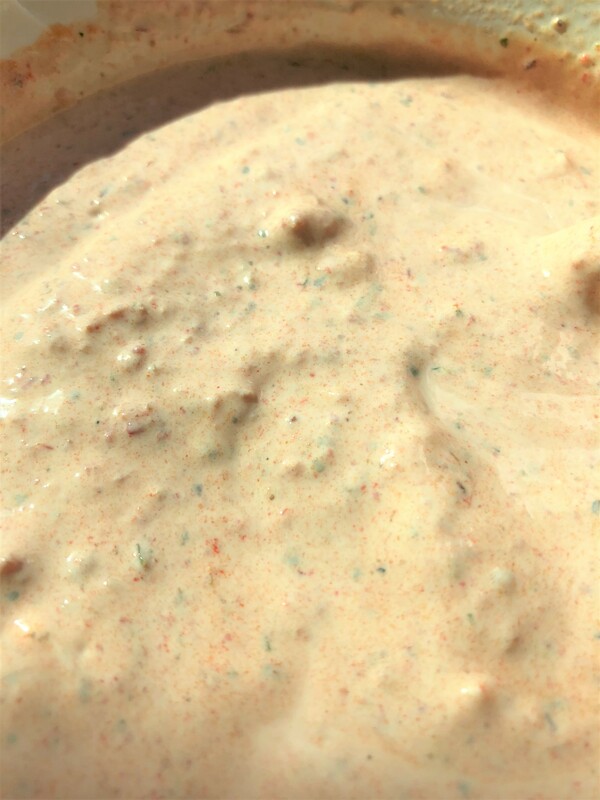 Mix all dressing ingredients and give it a good shake or pulse it in the blender. Pan fry, poach or bake the salmon. Allow to cool and break it up into chunks. Place the onion, spinach and/or leafy greens in a bowl. 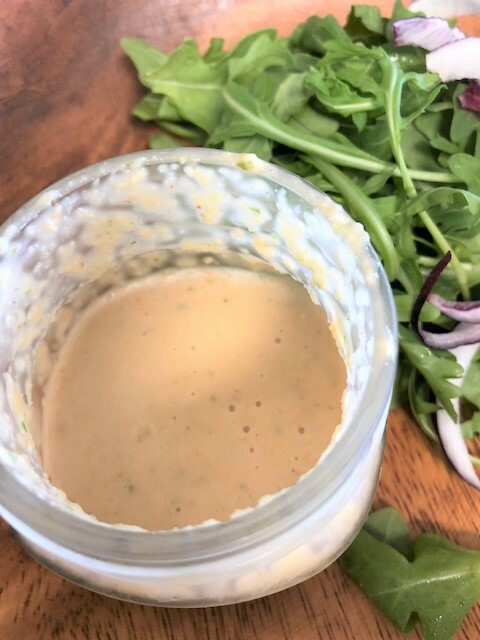 Pour on some dressing and give it a good toss. Gently mix in the salmon or tuna. Pile the mixture on good sandwich bread. 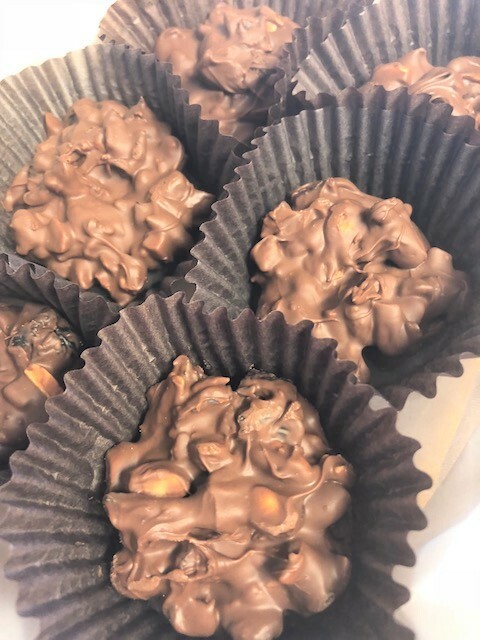 Chocolate Fruit and Nut Clusters……. I know you may not want to hear this, but do you know how close we are to the holidays? I am blown away at how quickly this year has gone by. I say that every year, but how can it possibly be September already? These treats are a favorite of mine. One of my favorite candy bars, is the Cadbury fruit n nut bar. It’s a delicious milk chocolate bar filled with almonds and raisins. Well, I decided to make my own improved version, in the form of clusters. I added dried cherries to mine and put them in cute little cupcake liners. Just imagine getting a box filled with these! They are so pretty and I think things taste better when they are pretty. I used a combination of chocolate chips and some milk chocolate candies that I happened to have. By the way, it’s a good way to use up any candy you have been given, or have lying around. 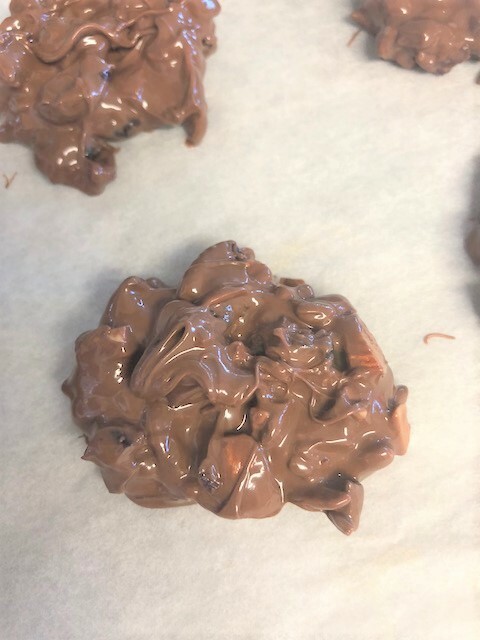 Just melt them all up and make clusters or bark! Halloween is coming so you can use up your leftover candy this way. Melt your chocolates and stir in the shortening or oil. 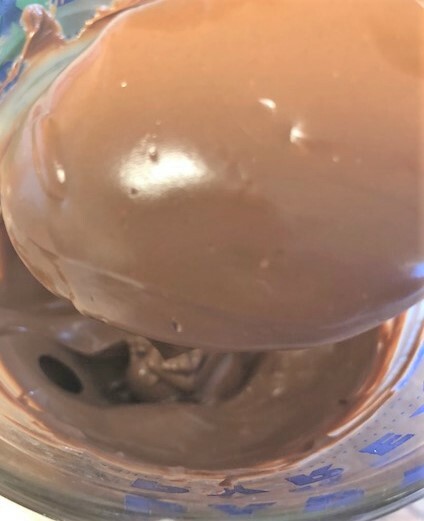 The shortening or oil keep gives the chocolate a bit of softness. If you choose to leave it out, you will be fine, but you will have more of a harder, crisp chocolate. 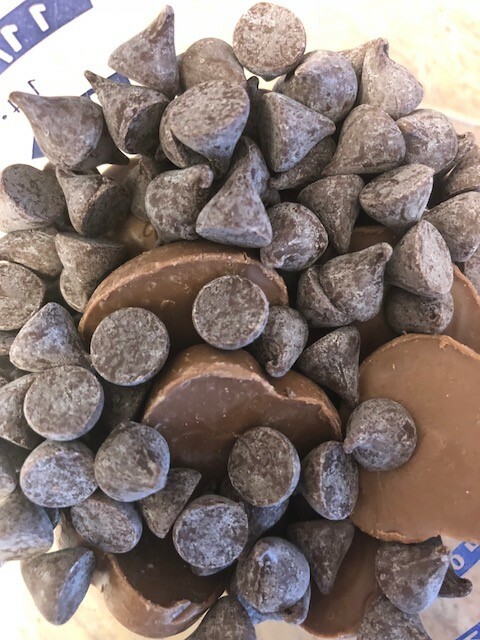 Pour the chocolate into a large bowl with your add ins. Stir it all up. Place some baking cups (cupcake liners) or wax paper onto a baking sheet. Plop about 2 Tblsp of the candy mixture into the baking cups or onto a piece of wax paper. Chill for few minutes to set up. Once set, place your beautiful little clusters into candy boxes, tins or eat em up all by yourself. You deserve it. I think I may have mentioned before that I love playing with dough. I loving baking breads and rolls and I don’t mind the kneading at all. Some people find it cumbersome and avoid it at all cost. Well, if you are one of those people and you hate waiting for an hour or two for the dough to rise, then this is the recipe for you. 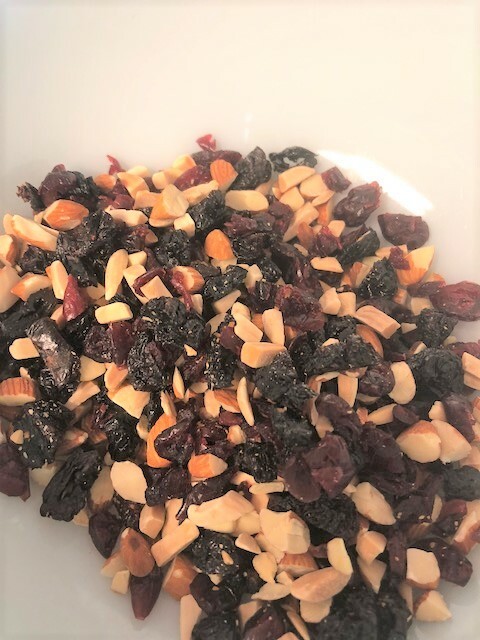 I have my go to recipe that makes a larger batch, but it is much more time consuming. This is a recipe for when you want some deliciousness, NOW. You can have a delicious cinnamon or fruit jam roll in less than an hour. Aren’t you excited? Seriously, these are so quick and delicious. You can make your basic cinnamon sugar filling, or use any fruit jam, or just honey. I used apricot pineapple jam in one batch and an orange sugar blend in another. As for glaze, you could do a basic powdered sugar and milk glaze or just brush some jam on the hot rolls. Just do whatever sounds good to you and you wont be disappointed. 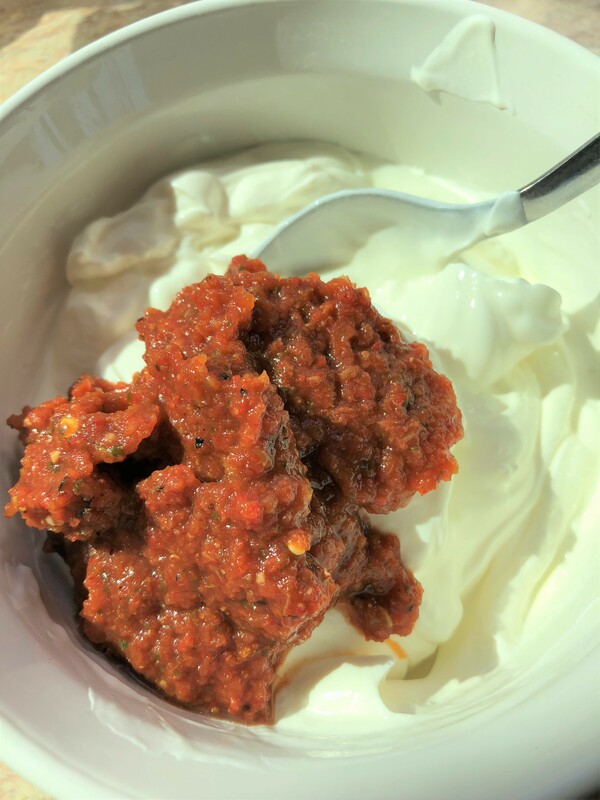 It’s a really quick breakfast or dessert that will make you and everyone else, happy! So go make a batch of ooey gooey rolls. In a mixer bowl, stir the yeast and sugar to the warm water. Allow to sit for 12 minutes until it is very foamy. With the paddle attachment, add in the butter and salt. Mix for 1 minute. Switch to a dough hook if you have one, and add in the flour, mixing at medium low speed until all the dough comes together (away from the sides of the bowl). 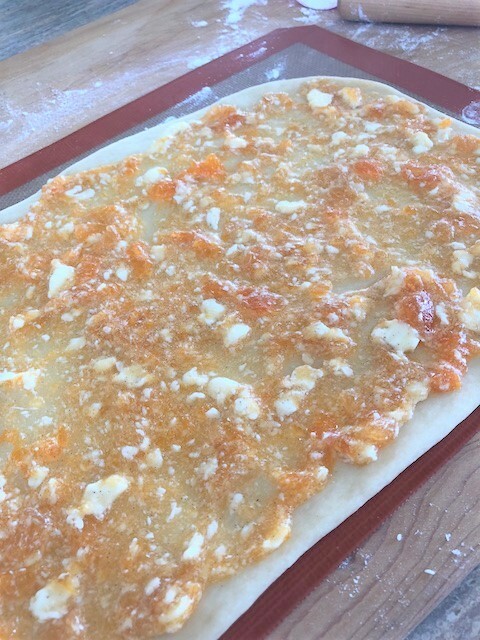 On a lightly floured board, roll the dough out to approx. 9×11. Mix the butter, jam and cinnamon together. Spread it all over the dough. 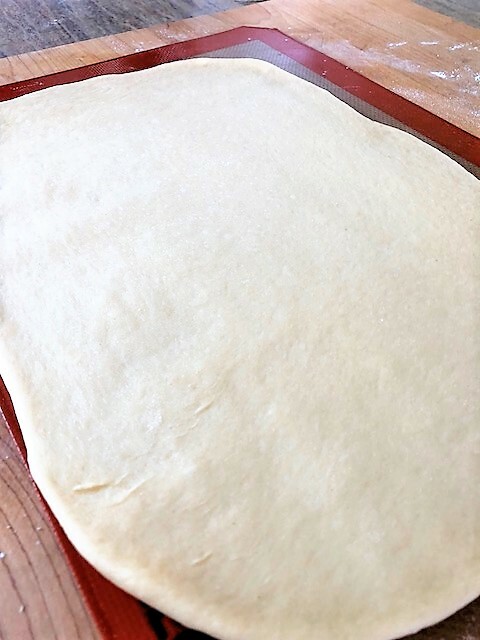 Carefully roll up the dough with the seam on the bottom. Using a sharp serrated edged knife, cut into 6 rolls. Try not to smoosh down the rolls as you slice. Heat oven to 400. Place the rolls into a lightly sprayed or buttered cake pan or pie plate. Allow to just sit for 10 minutes. Bake for 12 – 14 minutes until they are slightly browned on top. Remove from oven and let rest for 15 minutes. Make your topping! Spread topping of your choice on warm rolls. – Spread some jam on the tops of the warm rolls. – Mix 1 cup powered sugar with just a few drops of water, milk or lemon or orange juice…until you get a glaze, the consistency that you like. – Mix 1/4 cup honey with a few drops of milk. 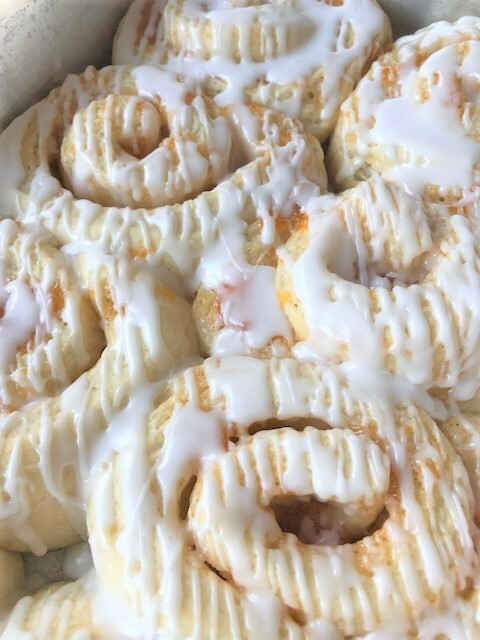 Drizzle all over the rolls. 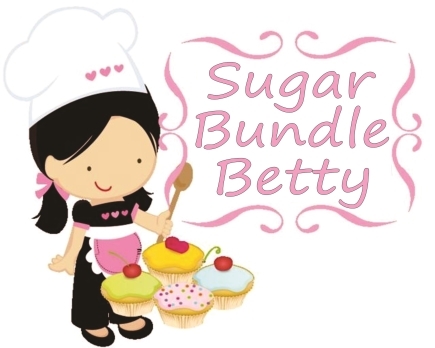 – Mix 2 oz very soft cream cheese, 1 Tblsp soft butter and 1 cup powdered sugar together. Spread on the rolls. – If you don’t like things too sweet, just spread some soft butter all over the rolls. 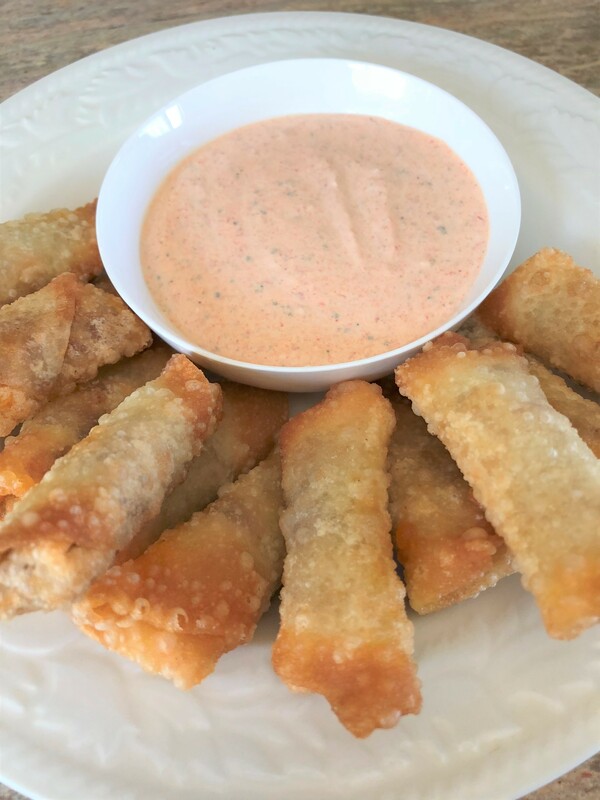 Cheesy Chicken Chorizo Won tons…. Hi all, Sorry I haven’t been posting a lot. I’ve been having so many computer issues. I’m not a real techy person, so it has been so darned frustrating! The good thing is I have lots of good things to post, so I hope you’re hungry! Today my good friend Juan finished up the last of getting me set up with my new laptop! Yay! I love it. With every little thing he did, I kept asking him “how do you know to do that?” I mean, come onnnnnn…..swipe, swipe here, click there……..I am just in awe and wish so badly that I was techy! Recently, I figured out something on my phone all on my own. I texted Juan and said “YAY, does this make me techy?” His response was “LOL”. Oh well. So anyway…I decided to make him a good lunch and something a little different. I made crispy little wontons filled with chicken, chorizo and cheese. YUM, right? Well then I made a salsa cream dipping sauce. Sooooooo good. He really liked it and that made me happy. I hope you will make these, because they are really something different and tasty. 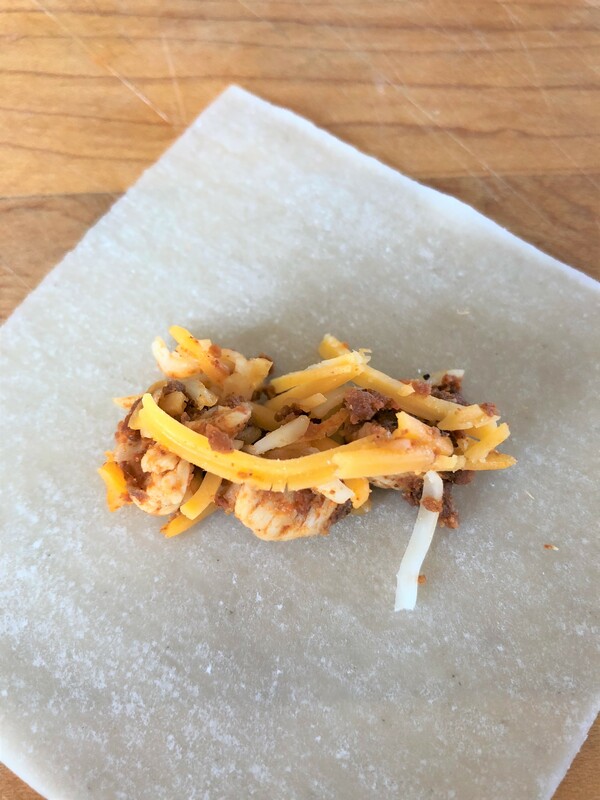 Cook the chorizo and drain it on several layers of paper towels. 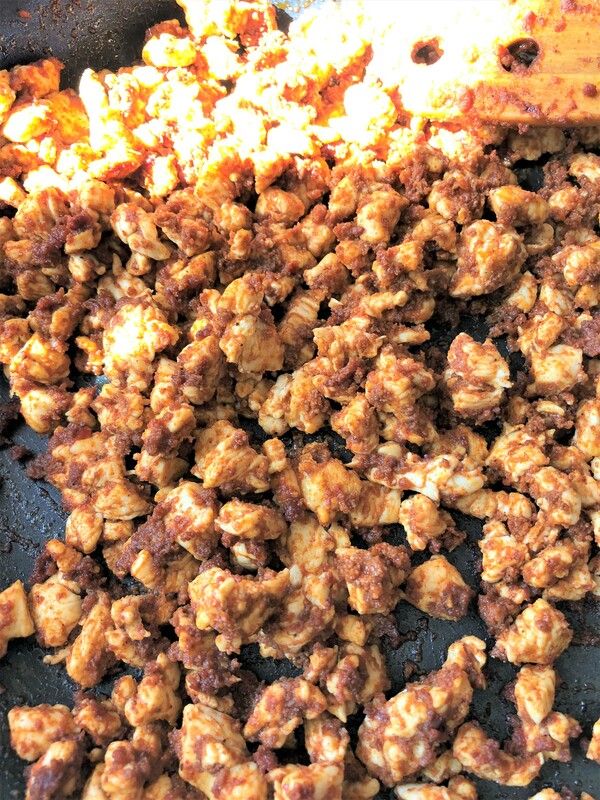 Cook the chicken in a skillet and add the drained chorizo. Allow to cool to room temp. Stir in the shredded cheese. 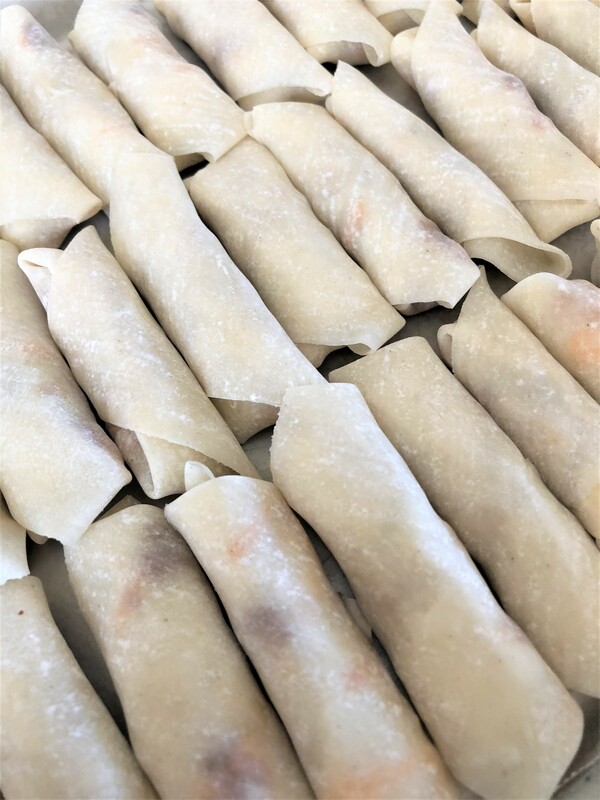 Put slightly under a tablespoon of mixture in the center of each won ton wrapper. Wrap like a burrito, sealing with a bit of water. Fry wontons in hot oil (medium high heat) just until golden brown. The filling is cooked so all you’re doing is browning the wrappers. Drain them on a paper towel. Mix together and that’s it. 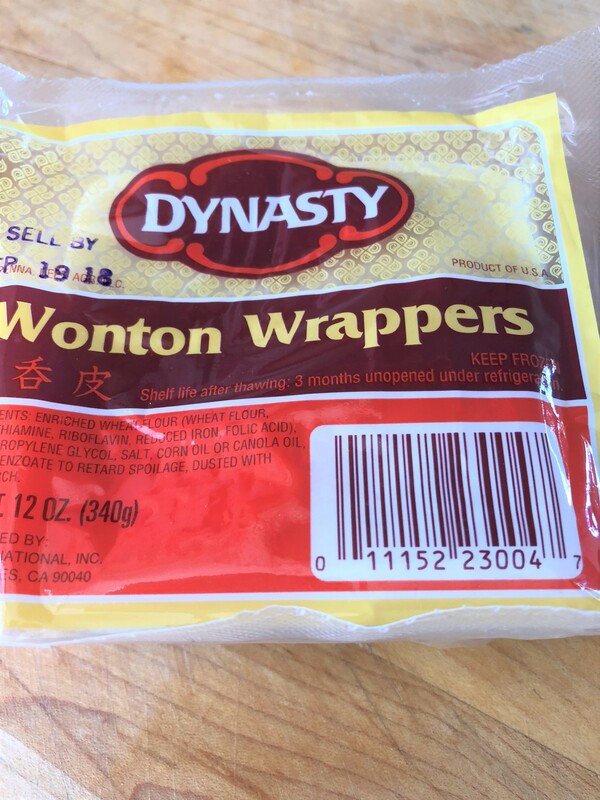 Serve with wontons. Great on tacos and burritos too. Oh, and chips!